Recently, Noah Lennox a.k.a. Panda Bear gave an interview to The Quietus where he talked about his favorite thirteen albums. They ranged from the ‘Enter The Wu Tang’ to King Tubby’s ‘Roots Of Dub’ to Aphex Twin’s ‘I Care Because You Do’ and whilst those artists aren’t perhaps immediately obvious Panda Bear reference points, his back catalogue and this album especially, all point to those albums, at least in terms of production. 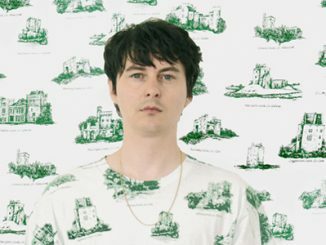 Previous Panda Bear albums have ranged from tunes clouded in a dense electronic fog (Person Pitch) to almost dub like affairs in places (Tomboy) and one of the things makes him such an intriguing artist is that it is never certain how any new material will sound, thereby usually leaving the listener hearing something almost entirely unique. Panda Bear Meets The Grim Reaper fits that bill, it is remarkable album, wrapping ruminations on life and death within some wondrous electronic music that grabs you from the outset. 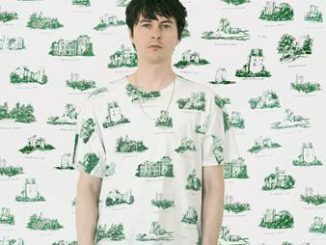 One thing that can be said with certainty is that this is Panda Bear’s most immediate album yet. It still has his signature approach to electronics, but the tracks here are far livelier than previous Panda Bear efforts and most feature beats that you wouldn’t usually associate with him which help bring another dimension to his already beautifully layered songwriting. Last year’s Mr Noah (released on an e.p in October) is the best example of this approach and is the standout track here. Opening with some crunching, almost industrial sounds, the track opens out into a loop driven, monster of a song with some unsettling but superb vocals (see all lines ending in “ay-ay-ay-ay“), unmistakably Panda Bear but this time with added crunch. The album is filled with tracks that have an extra kick to them from the opening Sequential Circuits which sounds like a factory waking up, to Butcher’s Aphex Twin like drive, to Principle Real which almost, just almost, ends up sounding like a dance track. As you’d expect from a Panda Bear album, there are moments of sheer beauty throughout too. Not many artists have a way with melody and harmony like Panda Bear and, on the more thoughtful, slower paced tracks here like the Tropic Of Cancer and Lonely Wanderer, you’re pulled back into the Panda Bear world you’d expect, swimming in an electronic soup with melodies blissfully floating around you. Those two tracks, especially Tropic of Cancer, are stunning. 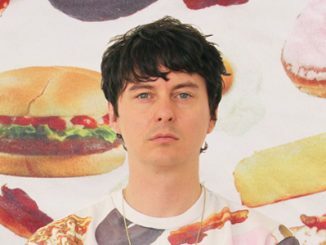 With this album, Panda Bear has potentially opened himself up to a wider audience, coaxing songs out of the loops and structure that replace his previous more psychedelic moments, but throughout he has retained the sound and feel that makes him such a unique artist. Maybe he’s not quite ready to replicate the success of Justin Timberlake, whose Justified album was another of Lennox’ thirteen picks for The Quietus and that’s probably for the best. If this album is a nod to the dancefloor or to a poppier approach generally, it’s done without compromise and it is still very much a Panda Bear album.